His charge that Rahul Gandhi chose Wayanad because Hindus are in a minority there and urging Hindu voters to punish the Congress for speaking of ‘Hindu terror’ violate the Representation of People Act. 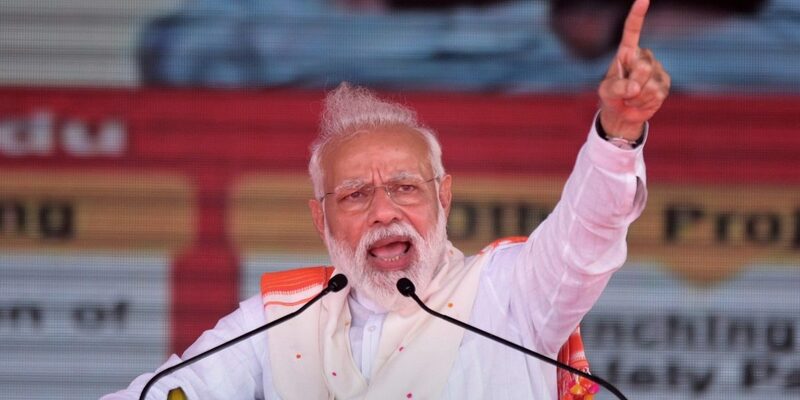 New Delhi: In his first campaign speech in Maharashtra for the 2019 general election, Prime Minister Narendra Modi said that Hindus would teach the Congress a fitting lesson for coining the term “Hindu terror”. At a rally in Wardha in the Vidarbha region, he asked, “How can the Congress be forgiven for insulting the Hindus in front of the world? Weren’t you hurt when you heard the word ‘Hindu terror’?” The prime minister also alluded to Rahul Gandhi’s decision to contest from Kerala’s Wayanad, which has substantial voters belonging to minority communities, thus: “Hindu community is aware now. It is evident from the fact that one has to contest a seat where the minority is majority”. The Congress has alleged that the prime minister has committed a corrupt practice under Section 123 (3) of the Representation of People Act, 1951. While it remains to be seen whether the Election Commission takes suo motu notice of the speech for possible violation of the law, as urged by the Congress, the provision, interpreted by the Supreme Court’s seven judge constitution bench in the case of Abhiram Singh v C.D. Commachen (Dead) on January 2, 2017 makes it very clear that an appeal to voters on the basis of either the candidate’s or the voter’s religion, to vote in favour of the candidate’s party or not to vote in favour of a rival party, constitutes a corrupt practice. A corrupt practice under Section 123(3) RPA can be committed by a candidate by appealing to voters to vote for him on the ground of his religion (or that of the voters), even though his rival candidate may belong to the same religion. In Kultar Singh v Mukhtiar Singh, the Supreme Court’s five judge constitution bench held in 1964 that if, for instance, a Sikh candidate were to appeal to the voters to vote for him because he was a Sikh and that his rival candidate though a Sikh in name, was not true to the religious tenets of Sikhism or was a heretic and as such, outside the pale of the Sikh religion, that would amount to a corrupt practice under Section 123(3). So, the court could not uphold the contention that Section 123(3) was inapplicable because both the appellant and the respondent in the election case were Sikhs. In the 1964 case, the Supreme Court held that political issues which form the subject-matter of controversies at election meetings may indirectly and incidentally introduce considerations of language or religion. But in deciding whether a corrupt practice has been committed under Section 123(3), the impugned speech or appeal must be considered carefully and always in the light of the relevant political controversy. In Kultar Singh, the question was what the word “panth” meant in the context of the pamphlet whose distribution was alleged to constitute a corrupt practice. According to the respondent, the appeal in the poster plainly and unambiguously invited voters to vote for the appellant in order to preserve the honour and prestige of the panth and it was urged that in the context, panth meant the Sikh religion. The Supreme Court held that as the Akali Dal, the appellant’s party, was seeking the creation of the Punjabi Suba, the crux of the appeal made by the impugned poster was that if the voters returned the Akali Dal candidate, the honour and prestige of the Akali Dal would be maintained, and the ideal of the Punjabi Suba attained. That is a political issue and it is perfectly competent to political parties to hold bona fide divergent and conflicting views on such a political issue. The significance of the reference to the Punjabi Suba in the impugned poster arises from the fact that it gives a clue to the meaning which the poster intended to assign to the word “panth”. Therefore, we are satisfied that the word “panth” in this poster does not mean Sikh religion, and so, it would not be possible to accept the view that by distributing this poster, the appellant appealed to his voters to vote for him because of his religion. Provided that no symbol allotted under this Act to a candidate shall be deemed to be a religious symbol or a national symbol for the purposes of this clause. In Abhiram Singh, the word “his” as used in the provision came in for interpretation by the bench. In 1995, the Supreme Court while approving the use of Hindutva during election campaigns, interpreted the word ‘his’ in Section 123(3) of RPA to restrict the prohibition only to the candidate’s religion. It allowed for appealing to the voter on the grounds of their religion, caste and community. This has now been reversed in Abhiram Singh, although the court did not go into the question of whether the use of the word “Hindutva” in an election campaign, irrespective of the context in which it is used, could be a corrupt practice. In any event, appealing for votes in the name of the Hindu religion of the voters is an offence under Section 123(3), irrespective of whether the speaker also spoke about the religion of the candidate in the course of the same appeal. The issue before the Supreme Court’s seven judge constitution bench in Abhiram Singh, was simple: whether a candidate at an election could appeal for votes on the basis of the religion of the voter, and still not invite the disqualification clause of the RPA, 1951. Four judges, namely the then Chief Justice T.S. Thakur, and Justices Madan B. Lokur, S.A. Bobde, and L. Nageswara Rao said no. The three remaining judges on the bench, Justices D.Y. Chandrachud, Adarsh Kumar Goel and Uday Umesh Lalit, said yes. The majority held that the word “his” must be interpreted to mean the religion (or race, caste, community or language) of the voter. The dissenting judges, on the contrary, held that it should be so interpreted to mean the religion of the candidate, if the appeal is to vote in his favour, or the religion of his rival candidate, if the appeal is to vote against him. If either of these two ingredients are not satisfied, the so-called appeal on the basis of religion (or race, community or language) is not a corrupt practice, they reasoned. The defence available to the appellant in Kultar Singh that the appeal to the religion was incidental to the pursuit of a political goal (the creation of a Punjabi suba) may not be available to Modi, who appeals to the Hindu voters to reject a political party which seemingly went against their interests by coining the phrase “Hindu terror”. The issue of “Hindu terrorism” has never been a political objective, in the sense the “Punjabi Suba” was. Therefore, the appeal to Hindu voters to reject the Congress at the hustings as a punishment for coining the term “Hindu terror” cannot but be seen as violative of Section 123(3) of the RPA. Even if Modi’s lawyers were to somehow try and convert the “Hindu terror” issue into a ‘political’ rather than ‘religious’ one, his claim that Rahul Gandhi chose Wayanad because the “majority is a minority” there is itself a clear appeal in the name of the voter’s religion and is a clear violation of Section 123(3). Secondly, the prime minister cannot take refuge under the plea that he did not appeal on the basis of his own religion, or that of the BJP’s candidate, or even against that of the rival candidate/s. 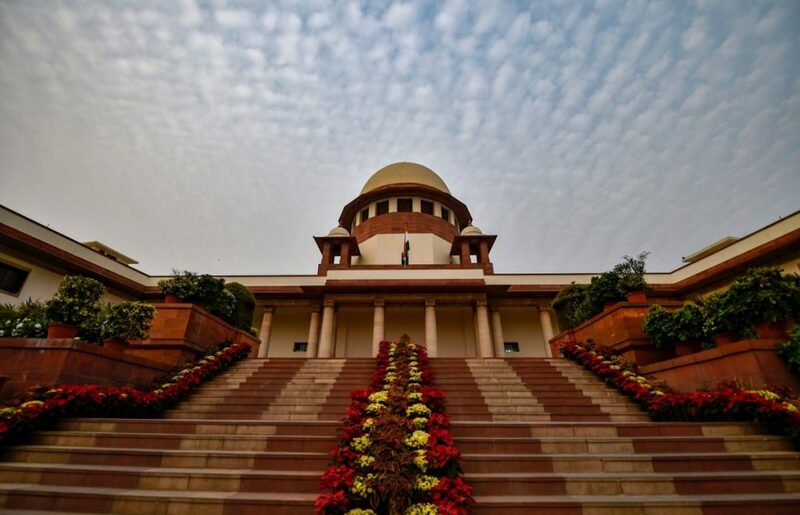 In the wake of the Supreme Court’s verdict in Abhiram Singh, an appeal – on the basis of the voters’ religion – to vote against a rival political party will equally be violative of the provision, irrespective of whether the speaker makes a reference to his own religion or that of the candidate’s.